The performance if the T2000 has never been available in such a compact server - and on top of that, it can save you millions in power and cooling costs. Request a quote now on Sun Server Models, or contact us at info@vibrant.com or 888-443-8606 with any questions and price requests. Internal disk Up to four 73 GB or 146 GB 2.5 in., 10K RPM SAS disks, providing a maximum capacity of 584 GB; Internal hardware RAID 1 (mirroring) and RAID 0 (striping) supported. 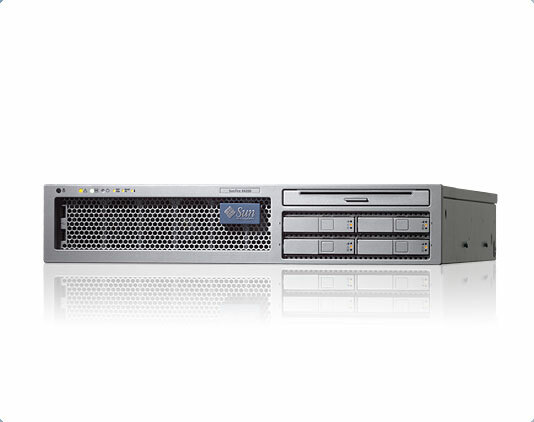 For pricing on new or used Sun Fire T2000 servers, upgrades or parts, please contact Vibrant sales at sales@vibrant.com or call 888-443-8606 or 952-653-1700.